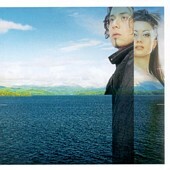 Solar Twins are David Norland (the music) and Joanna Stevens (the voice). They're from England, but no reside in L.A. And, their three favorite bands are the Clash, Talvin Singh, and Abba. They write poppy-electronica songs that are beautiful and delicate (thanks to Joanna's voice) and filled with danceable grooves (thanks to the music). Now, being an electronica outfit that plays highly danceable, fast-moving electronica music, I didn't quite figure them as fans of the Clash. But low and behold, they even cover the Clash's "Rock the Casbah." Of course, the Clash became more and more like a dance band near the end, but they never attempted dance music like this. Electronica with the dance in place, and Joanna's beautifully light voice singing the words, you can't help but find yourself enjoying this one. The same goes true for other songs like "Better Life," "Earthbound," Splintered," and "Swayambhu," all of which move between slow and delicate to fast and invigorating. I must be truthful though. The first few times I listened, I hated the music. But, the fact they were Clash fans made me give them a few more listens, and by that time Joanna had hypnotized me with her voice, and the music was too intense and danceable for it not to grow on me. I'll give it a B.